There are many versions to the tales surrounding the life and time of Henry Chibueze, known in the underworld as Vampire, but all without exception evokes dread, almost like a clip from a horror movie. The incidents that marked his rise and fall in the crime world clearly stood him out as very cunning and mortally vicious. Either as the hunter or the hunted, Vampire was an extremely dangerous person to deal with. Overtly elusive and wily, he had been on the ‘Most Wanted’ list of the Police and the Department of State Services (DSS) since 2013. While the law enforcement agencies were then unable to score any hit on Vampire, they were however able to establish a pattern associated with his operations which aided the DSS in tracking him down and arresting him for the first time in 2015. Before the arrest, Vampire was just a faceless terror and a bad news in security circles. He had on many occasions beaten the security dragnet of the DSS but this time he had his wings clipped for the first time, or so we thought, by a detachment of combat-ready operatives of the DSS who had trailed him to Disney Hotel, Owerri, Imo State, where his gang was about to kidnap Election Petitions Tribunal Judges. The kidnap operation was busted by the DSS but Vampire escaped this time, with a bullet wound. Speaking to newsmen at the time in 2015, the then Imo State Director of the DSS, Francis Ejiofor, said that Vampire was eventually arrested after an operation where his victim’s family had to part with N15 million ransom. According to Ejiofor, “Mr. Henry Chibueze known as Vampire, engages in kidnapping from Nigeria to Cotonou, Congo and Ivory Coast. He is a vicious kidnapper and he kills his victims at the slightest suspicion that security operatives are on his trail. When we learnt that he was in the state and had kidnapped a woman we waited until he had collected the ransom and released the woman and we went after him. The name, ‘Vampire’ according to security sources invokes fear in the hearts of families of victims who have heard gory tales of his blood chilling operations and often part with huge sums of money without informing security agents. Not a few of his victims believe that the name ‘Vampire’ aptly depicted his huge appetite for bloodletting and violence.Giving dreadful details of his criminal activities in his five years of operation while being paraded, Vampire said that he had lost count of victims he had killed for failure to pay up the ransom or for getting security agents involved. 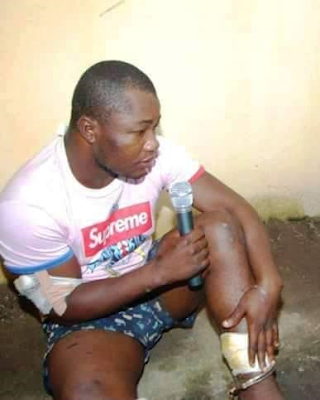 “Yes I shot my girlfriend and everybody in their house because she stole my N45 million which I kept in my house. I went to her family house in Lagos and when she saw me coming, she ran into the house I went in and shot her and everybody in the room. She died instantly but I don’t know how others died. “I started kidnapping in the year 2000 and I joined the business because my people did not train me. Vampire, who said he lived in Abidjan “with my wife and daughter”, admitted that his wife didn't know he was a kidnapper. Vampire was subsequently dumped at the Owerri Prisons from 2015 to 2017 while he was standing trial at the Owerri High Court. However, on Friday, January 27, this year, Owerri, the state capital, was hit by a massive shockwave which will linger for a long time in the minds of security chiefs in the state, particularly the officials of the Owerri prisons following the humiliation and embarrassment handed to them by Vampire. In a classical commando style, Vampire on the said day was sprung out of the court premises in broad daylight by gunmen who took the Owerri High Court premises by storm, without as much as a whimper from all the security men and agencies represented at the court premises. Vampire and about 80 other inmates had been brought to court for the hearing of their cases, but apparently oblivious of the plot afoot, the prison officials walked into a well laid ambush that triggered a massive stampede on the High Court premises. At the end of which, Vampire and eight other inmates escaped and returned to the list of criminals at large. A few eyewitnesses to the incident that it was a professionally executed breakout, “It appeared the gunmen were waiting for a cue from Vampire and struck immediately they got it. The shooting on the court premises lasted for more than 10 minutes with Judges, lawyers, suspects, police orderlies and all other persons within the court premises scampering for safety. When the dust settled, five prison wardens were on the ground in the pool of their blood, scores of lawyers sustained various degrees of injuries with the court premises littered with wigs and gowns of fleeing lawyers. Vampire and eight other suspects had vanished into thin air leaving the confused crowd of security men grasping for straws. With what transpired at the Owerri High Court, it is easy to concede that the planning of the attack was quite deft; firepower was superior; while execution and escape were carried out with professional precision. Considering the circumstances of the escape, many residents were of the view that the security agencies in the state might have taken too many liber-ties with the kingpin to the point of approaching his detention with a careless and worrisome lack of seriousness. It would also be recalled that during a publicised interaction between Governor Rochas Okorocha, security agents and Vampire in 2015 when he was arrested; in reply to a question from Okorocha, the kingpin stressed that he did not want to be released and that it would be a bad idea to set him free under any guise. He said, “I have killed many people and I am still rearing to go. My blood still dey hot.” In view of the terrifying track record of this crime lord and his unchallenged escape, many easily embraced the idea of a conspiracy theory. They could not fathom why a criminal with such frightening track record should be conveyed to court with grossly inadequate security. Lawyers in the main observed that the court in question is located within the perimeter of the Imo Government House, next to the Deputy Governor’s Office, and right behind the official quarters of the Commander, 34 Brigade, Obinze, Owerri and the state commissioner of police. Also disturbing was the complaint of a senior lawyer who disclosed that he called the Police Control room when the court was under attack but the officer who received the call boldly told the lawyer that they did not know the location of the Owerri High Court. Whereas the court is right behind the official residence of the state commissioner of police. Beyond these, there are serious indications that Vampire was living large in prison and was coordinating kidnap operations from behind the bars. The testimony of an official of the Owerri Prisons, Agim Chukwuma, 28, who was arrested for working for Vampire from inside prison and helping to organise series of kidnap operations from within the prison walls is a clear affirmation that Vampire was enjoying benefits only kings enjoy in detention. As such, his escape should have been expected. Chukwuma was not arrested by the police; he was not arrested by the Owerri Prisons authorities but was busted right in Owerri prisons by a team from the Inspector General of Police (IGP’s) Intelligence Response Team (IRT) alongside Joseph Chiaotu alias Ejima, Anozie Chinonso and Uzodimma Chukwudi. 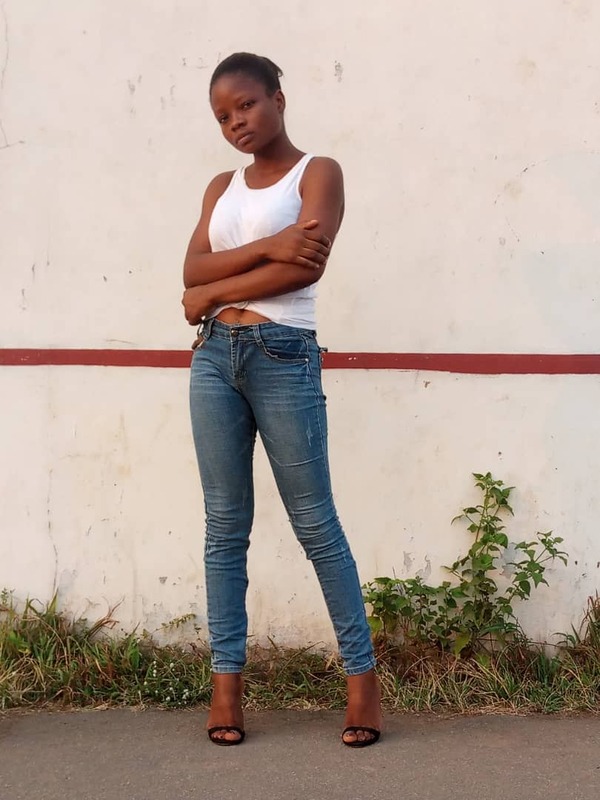 Even after Chukwuma was arrested and the racket revealed, indications suggest that nothing substantial was done to really lock down Vampire who, according to Chukwuma, was receiving his share of proceeds of kidnap operations even while in prison. Vampire did not just organise kidnap operations from prison; he groomed and initiated young men into his nefarious trade. If he could turn a prison official into a kidnap operator, prison inmates would have been no match for his cunning and devious mind. His escape as far as Imo residents were concerned was an inexcusable blunder on the part of security agencies in the state; all of whom blamed on the Owerri prison officials. It was therefore the expectation of Imo people that government should take decisive steps to speedily restore the confidence of the residents of Owerri in the ability and capacity of government to protect them. The state police command, having shown apparent deficiencies in its capacity to neutralise the operations of high-prized criminals like Vampire were shunted to the background by more efficient special forces from the office of the Inspector General of Police who took over the responsibility to track down the felon and his gang members. A quiet but intensive manhunt ensued immediately the IGP’s squad took over the operations and on Thursday, 2nd March, 2017, Vampire was gunned down by the Inspector General of Police’s (IGP’s) Special Forces led by the Intelligence Response Team after a gun duel in a forest in Omu Awa community in Ikwerre council area of Rivers State. The hoodlums who initially resisted and engaged the operatives from the office of the IGP in a gun battle, were later gunned down about 1:00 am on Thursday. Five of his gang members – Obinna Elah, 26; Arinze Abecheta, 24; Chukwuebuka Ikeazota, 23; Samuel Ugochukwu, 24; and Clifford Aheana – were arrested in the operation while a cache of arms and ammunition were recovered from them. This is also as impeccable Police sources narrated that intelligence devices deployed during the operations revealed that Vampire had resolved that someday he would be caught but assured his colleagues that it would be at a huge cost to the society. The vicious gunman had according to credible police sources concluded plans to attack Governor Rochas Okorocha of Imo State and thereafter attack strategic public places which included the Concorde Hotel Owerri. He had boasted that he would execute his plans as soon as he returned from a strategic trip to India. The killing of Vampire was not a tea party. It was not without many troubles. It stretched the wits, skills and courage of the special squad. According to one of the operatives of the IGP’s squad who was narrating the rigours of nailing the kidnap kingpin to his colleagues during the parade of the criminals, “Vampire is slippery and devilish. You will never find him sleeping inside the house. He would always sleep in open spaces outdoors and he will spring awake and alert on the slightest noise, even a distant ringing of the phone. He was always armed clutching an AK-47. The squad had tracked him to Ehime Mbano, he swiftly moved to Aba, we followed him to Aba but the environment was not too conducive as there were children playing all over the neighbourhood. He didn’t immediately see us but he sensed that he was in danger he escaped but his brother took bullets in his arm. We came with the best men for the job so we intensified our search and tracked him to a forest in Omu Awa, Ikwerre LGA, laid our ambush but he was at alert. He defiantly engaged our men in a gun battle where he was gunned down. That deflated his men some of who surrendered and were arrested.” The Force Public Relations Officer CSP Jimoh Moshood who breezed into Owerri immediately after the operation had nothing new to tell the residents except for the ceremonial appearances and acknowledgement of cheers following the successful operation in Rivers State. In his days, Vampire established himself as a serial killer who had confessed to the murder of over 200 persons in more than 300 successful kidnap and armed robbery operations. Some of the kidnap victims who were abducted within this period also, were allegedly killed by Vampire. Five AK 47 rifles, 300 rounds of AK 47 ammunition and charms found on the body of the deceased gang leader were part of the items recovered from the kidnap gang. Henry Chibueze, Vampire, 30, hailed from Agbaja in Nwangele council area of Imo State. In the underworld, he wrote his name in blood; he lived by the gun and died by the gun.